Women in politics have sparked many controversies and are often greatly undermined. Likewise, Sri Lanka traditionally has very low female participation when it comes to the local elections because women aren’t given the opportunity to engage as effectively and are consistently sidelined. 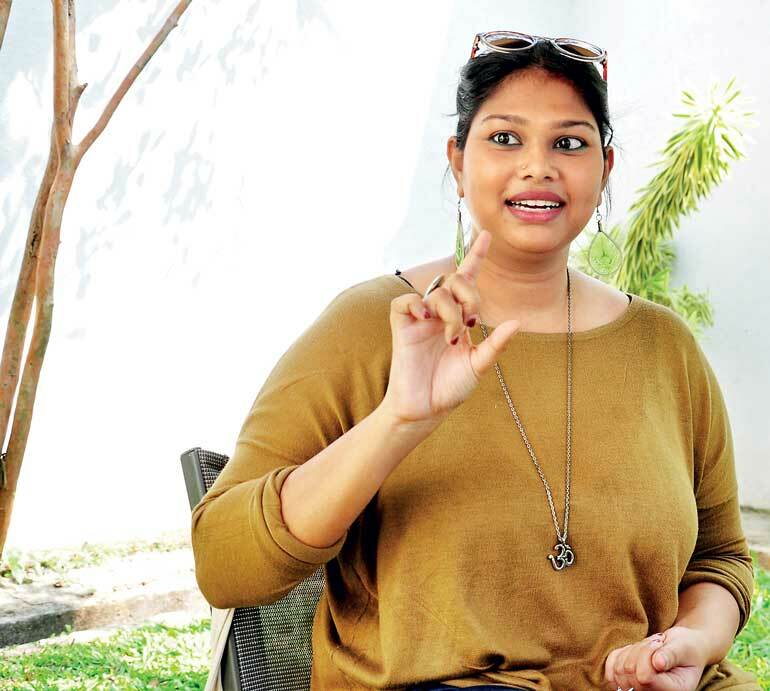 Addressing these matters and sharing her take, gender activist Sharanya Sekaram spoke to Daily FT in order to spread awareness and further promote female representation. Q: Women in politics have sparked many controversies in the country and they are often greatly undermined. What is your take on this? A: There are women in politics generally as a concept but the reason you find women not represented as much is because of the questions that they are constantly surrounded with, such as are they emotionally capable, are they strong enough, are they as smart as men, and that goes back to patriarchy. We’ve had a history of engagement of women in politics who took part in diplomatic services even at the very beginning and were quite passive. Our culture is a very patriarchal culture that ties down to how rigid our gender roles are. Our problem with women coming into public representation is that we look upon these women as if they are trying to break the gender roles that usually require them to take care of their households and children. Even then the women who come forward after being elected fall in to such roles. A woman coming on her own is looked on as absurd but a woman coming on the back of her dead father, brother, or so forth is taking up the mantle of the man. Hence the controversies are very much rooted in patriarchy. All these questions we have about women in politics are just how we view women. It has nothing to do with your gender but has everything to do with the kind of person you are. 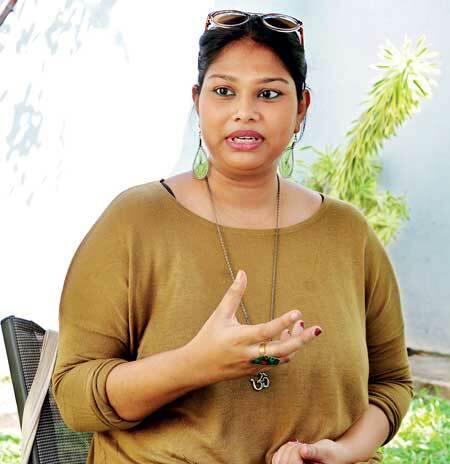 Q: Sri Lanka traditionally has a very low female participation when it comes to the local elections. In your opinion what is the main reason behind this and how can it be changed? A: Our percentage of female participation prior to this election has been 1.2% and once again its patriarchy. One, is women don’t get nominations, they aren’t nominated by the parties as they don’t feel that they’ll get elected. The kind of women who do get elected come from nepotistic political families and we have this problem with actresses and models. We don’t understand that the reason they get those nominations is because they bring a voter base with them. So, if you’re a woman, you have to have an existing voter base that will allow you to enter. The representation has been low because women aren’t given the opportunity to engage and are consistently sidelined. If you look at the nominations list, that too is very low. The second thing is, they don’t get elected and that is why you need a quota, because of the perception of women in politics. It is the narrative that has surrounded these women. When women come in, they are expected to uphold the traditional women’s issues and if they do talk about it, they are accused of only talking about such topics. There’s a whole plethora of reading on why women don’t get elected to politics but another big reason is due to the sexism that is faced by women in politics. They have trouble getting nominated and when they get the nominations they have trouble getting in because of the lack of backing of their leadership parties. They are not given presence on stage or campaign funds. Then there’s the immense amounts of sexual and gender violence that they face which makes it very difficult for them to proceed forward. Q: Why is it important to have stronger female representation? A: The argument for stronger female representation basically comes from the argument of diversity. If you look at Denmark, Iceland, Sweden, and a lot of Scandinavian countries that have had good representation of women in politics, we’ve seen other indicators improve; poverty, corruption and so forth. This is because the more women you have, the more the underrepresented population is represented. You don’t have conversations for example like child care, about the standards of pre-schools or sexual harassment on the street because there aren’t women bringing these up. You need women to bring up the issues that aren’t being brought up. A lack of diversity means a lack of diverse problems being addressed. For me, the representation of women is the first step but we also do need disabilities represented, diverse gender identities represented, diverse socio-economic backgrounds represented. Q: From the side of the voters, how important do you think it is for men to vote for parties that feature strong female candidates? A: You can’t have a social revolution and leave out over 50% of the population. Q: In your view, who really is a strong and genuine female candidate? A: I don’t think a strong female candidate is any different from a strong candidate. I think she should possess the ability to carry out clear policies and be open to criticism. I think that is a very important aspect of being a political leader and that is where we as a country fail constantly. You should really be able to take criticism on board and also be able to work with all kinds of people. Q: There have been several allegations by certain female candidates of party officials seeking sexual bribes. How concerned are you about issues like this? A: They are truly terrifying but it’s sadly unsurprising. It was almost like all the women and political activists were waiting for this to happen because of such cases being reported constantly. Once again it’s patriarchal because we can’t see women out of the roles that they are required to play. For example, when Julia Gillard was the Prime Minister of Australia, she went through so much of scrutiny because of her hairstyle, her hair colour, the fact that she was unmarried, the fact that she chose not to have children and what she wore. However, this is how we treat our candidates as well. They have to wear sarees as it a natural expectation. When you sexually bribe someone you immediately dehumanise them. Bribery is different from sexual bribery and you no longer treat them as a person but as a sexual object. They are immediately degraded so much and it is deeply concerning. 25% is mandatorily going to be women, so how will they engage afterwards because of the fear of their personal safety? Sexual bribery is amongst the worse kinds of bribery and it is truly appalling. Q: In the East, there have been reports of Muslim clerics and other community leaders attempting to block female candidates from campaigning and encouraging the public not to vote for them. How can these social issues be tackled and what support are the women getting? A: It’s a bit bizarre that they keep blocking the women from campaigning because we are anyways going to have 25% regardless. It’s really ridiculous. I think it’s really important that we stop pretending that it isn’t an issue. Even the party leaders need to stop skirting around this. Sexual violence and gender discrimination that women face in politics is a problem that needs to be addressed. Another important fact is education. We do sessions with five-year-olds and ask them to play house and the boys suddenly pretend to go to work and the girls stay back at home. That is what they see and hear. Girls are soft, boys don’t cry. Not only women but men are affected by this as well. Pre-schools come under the local government and that should be their first step. When the female candidates are elected, they have to remember that the pre-schools come under them; hence they can mandate a change from the very earliest stages of education. Q: Women’s rights organisations have a critical role in promoting and defending female candidates. Do you feel that enough focus is being given to this task? A: Very much so. I think that the women’s organisation movements in this country are very strong. They haven’t kept quiet even when they were asked to. The Women in Media Collective held a press conference recently on the importance of the 25% quota and women’s action networks have been campaigning for decades. There was a statement released recently which a number of us put are names to on the 70 year independence called WeWomen as to where the women stand in this country. I think the thing is that we shut down these organisations mentally because they are inconvenient. It is easy to call them feminists and not deal with the issues that they are talking about. It is the women’s right organisation that had called for this quota even when it was shut down. They kept pushing for it and to date are doing so by fighting for women and backing them up. These organisations do not let these forms of violence go unnoticed. That is very important. Q: It is critical for the women who get selected to work competently, perhaps above and beyond their male counterparts, to not just prove that women can be credible political leaders but also to continue the increase of women representation. How can this be achieved? A: That’s unfortunately the burden you have to carry as a woman in any field. I always say that you will have true equality when the worst woman can be as incompetent as the worst man. Here, the worst woman still has to be ten times more competent than the best man because we hold them at completely different standards. Therefore, there is an unfortunate burden that these women who get elected will have to face. However, as the voters and the public, we need to put equal pressure on the men and show them that the standard of competency across the board needs to happen. Q: Do you think that the civil society and other stakeholders will work towards reaching this goal and what is the way forward after 10 February? A: As said, elections are an event and democracy is a process. One major thing that we have to push for is in the local government act there is a provision for council meetings to be held, where the council has public town council meetings with the general public. I know that the UNP has promised this in the Colombo Municipal Council and it has to be put forward because there’s no way for us to engage with them after they are elected. Also we have to continue to engage after we elect the officials. Push and note things down. Keep pushing because it is not just about one or two things, it’s about a whole system of change and things have changed. You don’t make change overnight but you have to keep engaging. Movements change things. People change things. Governments never change things. You change the government and hold them accountable to you. Remember that you elected them and not the other way around.